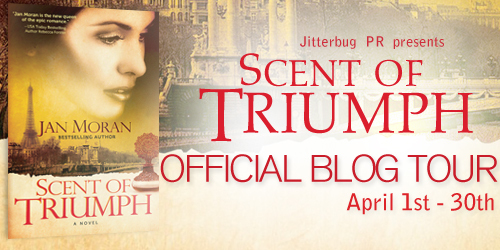 The Scent of Triumph blog tour is stopping by here today. 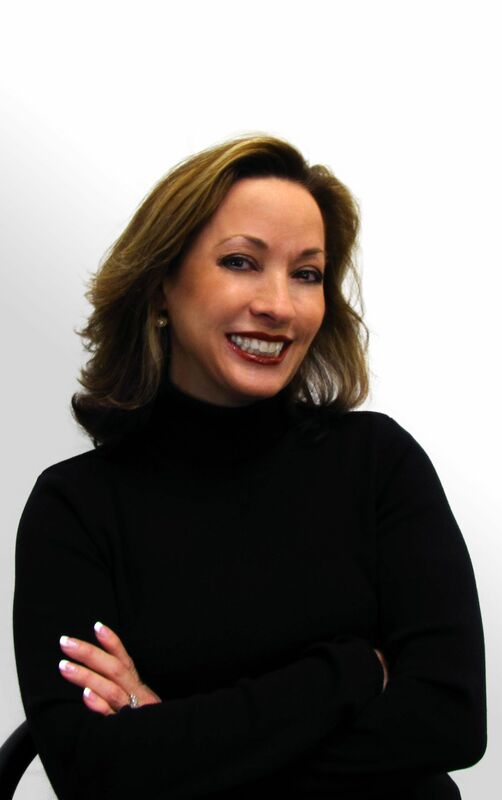 Join me in wishing Jan Moran all the best on her new book. Hello Lorenz, wonderful to join you today, and congratulations on your new books! I’m so impressed! On my last blog stop, I covered some classic French perfumes, but today I thought I’d share a duo of romantic perfumes that harbor an element of mystery. As you read on, you’ll understand why I chose Vol de Nuit and Narcisse Noir today—excellent choices for vampire aficionados! 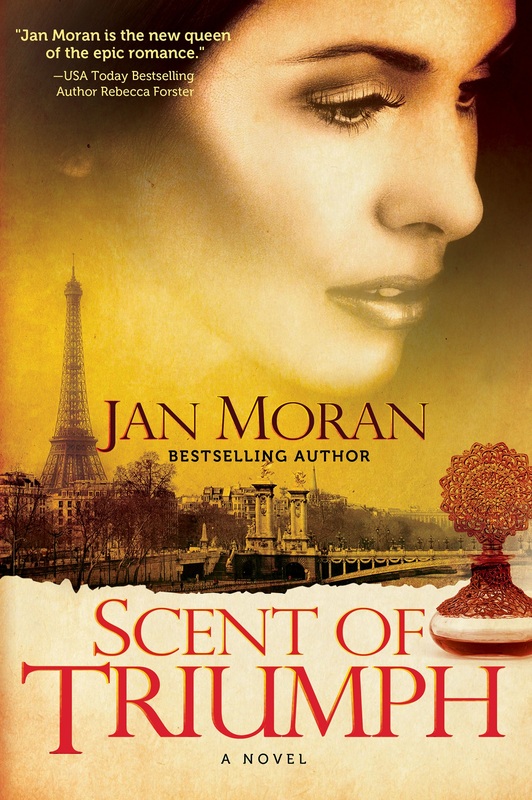 My novel, Scent of Triumph, is a suspenseful, historical saga surrounding a young French perfumer. The protagonist, Danielle Bretancourt, comes from a family of perfumers. This world of perfumery is her profession and her passion, so real vintage perfumes of the period are included throughout the book. Vintage perfumes are rich in history, and their formulas have seduced decades of admirers. 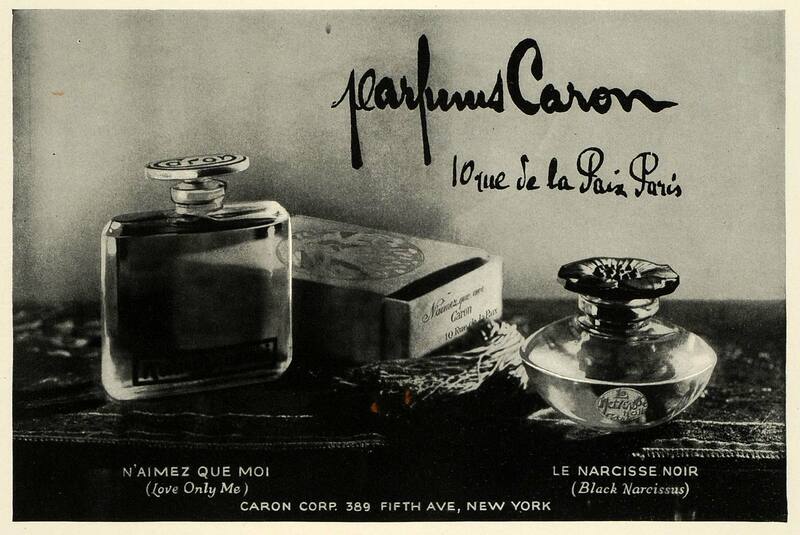 These fragrances are what I call the tried-and-true, as beloved today as when they were first introduced. They might be hard to find, but you’ll find it’s worth seeking out these perennial favorites. Vol de Nuit by Guerlain (1933) – Another timeless classic from Jacques Guerlain, Vol de Nuit is a spicy, ambery Oriental scent designed for the elusive, assertive woman, and is one of the most sophisticated scents from the House of Guerlain. The sensual blend opens with fresh notes of mandarin and bergamot. Orange blossom and jonquil bloom in the heart, while vanilla, spices, and sandalwood create an aura of mystery. Vol de Nuit, French for “night flight,” is presented in a classic Guerlain flacon. The dramatic gold-colored amber bottle is molded with the shape of French Air Force wings. 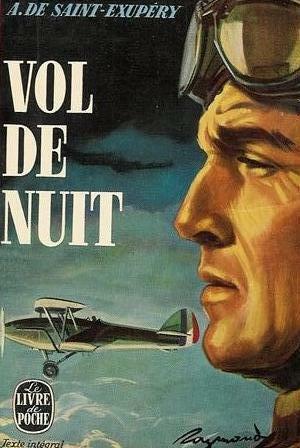 Indeed, Vol de Nuit was created in homage to the daring aviators of the 1920s, and was named after the Antoine de Saint-Exupéry novel of the same name. Saint-Exupéry, also an avid aviator, was the author of many works, including Le Petit Prince. The fragrance captures the essence of adventure, the spirit of exploration, the radiance of independence. It is an assertive scent of the 1930s; ideal for the modern woman of today. 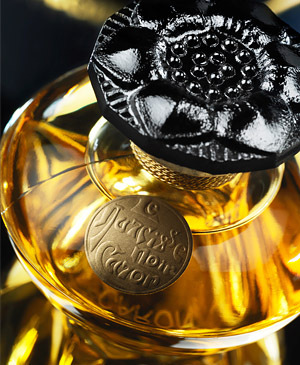 Narcisse Noir by Caron (1912) -Created by the great perfumer Ernest Daltroff, founder of Caron, Narcisse Noir is based on the black narcissus, an exotic spring-blooming flower found in China and Persia. Narcissus is blended with aromatic sandalwood, which lends a sensual, lingering aura to a floral bouquet rife with rose and jasmine. Narcisse Noir was one of the most important fragrances brought forth in 1912, an industrious year in the history of perfumery. It remains a truly enduring, sophisticated classic. 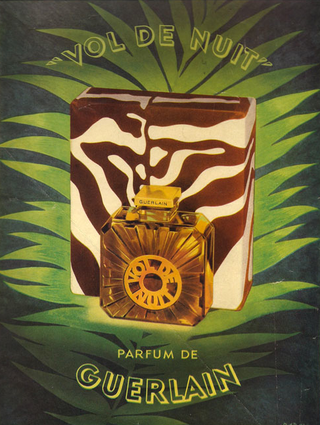 Although Daltroff died in the 1940s, his company and fragrances live on, a tribute to his remarkable talent. Thanks for sharing your platform today! On my next blog stop, we’ll cover a few more classic fragrances. Visit me at www.janmoran.com to learn more about fragrance and Scent of Triumph. What fun, Lorenz! Thanks for having me in today. Happy to answer any perfume questions your readers might have. Thanks for dropping by and sharing your passion for perfumes with us. Congratulations on your new book. Sounds like a great book! Thanks for sharing with us! Great to see you here, Jootsme!